Asked my big kids what would they like to have for today's tea snack ... muffins? cupcakes? Well .. how about try something new? Friands. "Okay!" Preheat oven to 180C. Melt butter and use a little to grease 20 holes mini friand pan. 12 holes for bigger friand pan. Sift the flour and icing sugar into a large bowl, then stir in the lemon zest and almond meal. Place egg whites in a small bowl and lightly froth with a fork. Add to dry ingredients with melted butter, stirring until completely combined. Fill each friand hole two-thirds full/ Bake for about 20 minutes until golden. Remove from the oven, leave in the pan for 5 minutes, then turn out onto a wire rack to cool completely. Dust with icing sugar before serving. Not sure why, I've greased the non-stick muffin pan but still the sides tend to break and not easily remove from the pan. 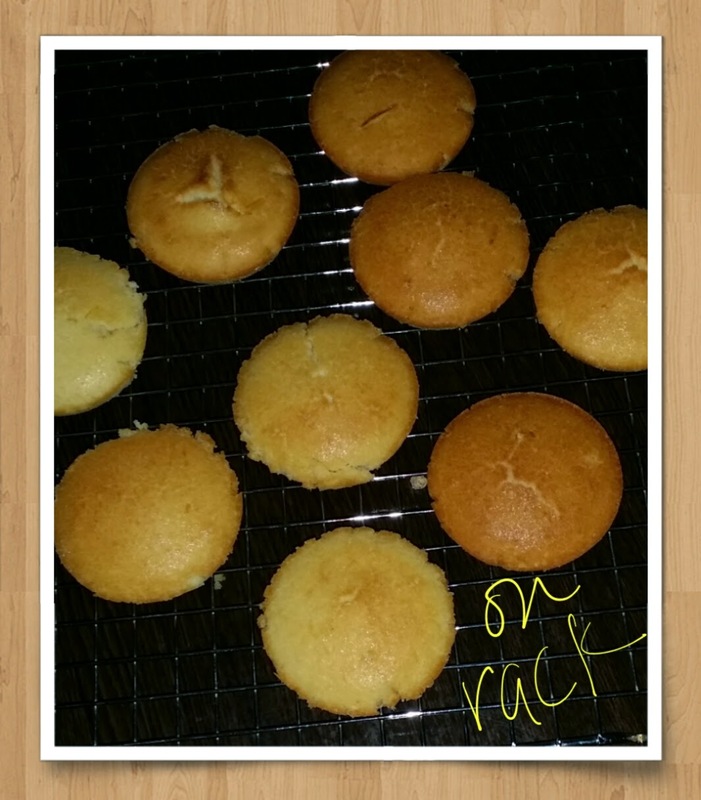 My boy likes the lemon icing drizzled on small Lemon Coconut cakes that I baked some months ago. So, instead of dusting some icing sugar on Friands, I drizzle a little of lemon icing instead. Well, yummy and refreshing Friands with a cup of hot mint tea on my weekend. 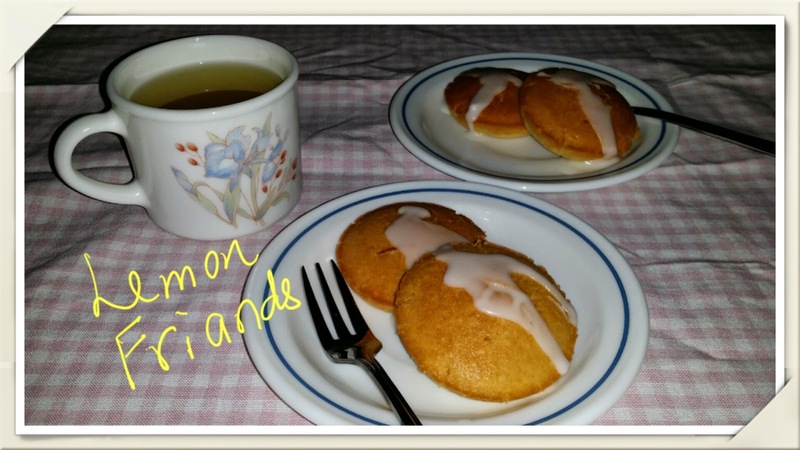 I have always wanted to make lemon friands. Yours looks great with a cup of tea! Thanks for dropping by. Hopefully it won't sticks in my next attempt. Karen, I've been wanting to try these friands. They sound so exotic to me. I suppose I can use my normal muffin pan, right? I haven't seen any friand pans where I shop. Oh yes I used muffin pan. But somehow the shapes and sizes don't looked that cute vs friand pan. But still they tasted good.